It's been almost a month since the last major tornado outbreak, and today's weather could rival the last outbreak. 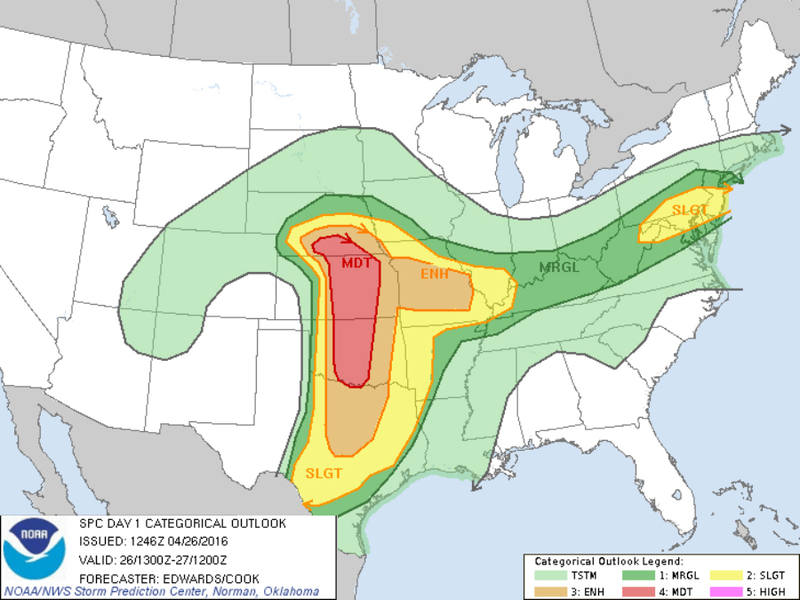 The Storm Prediction Center has issued a moderate risk for severe thunderstorms, the second-highest threat level. Today's major threat is large hail and a good possibility for a large tornado or two. Strong, damaging winds are also a threat. The previous tornado outbreak happened the last day of March when 23 tornadoes touched down across the Midwest and the Southeast. 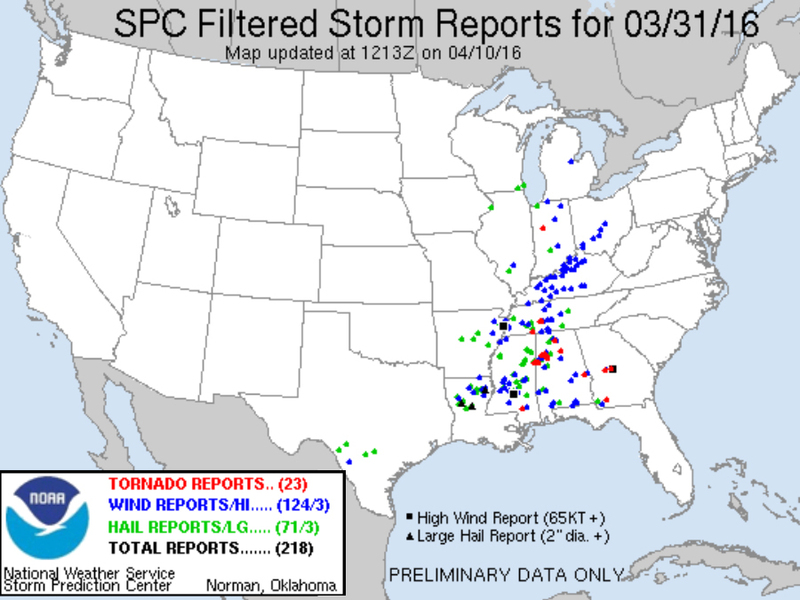 This was mostly a wind event accompanied by smaller EF-0 and EF-1 tornadoes. 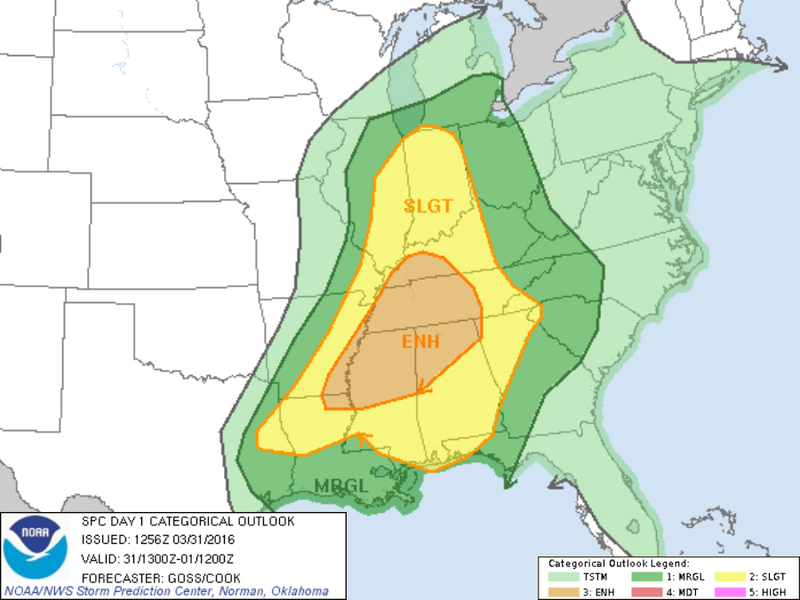 That morning, the SPC issued an enhanced risk, the third highest threat level. If all the severe weather ingredients come together just right this afternoon, today could be one of the worst tornado outbreaks of the year, surpassing the three busiest days of the year so far: Groundhog Day, Feb. 15 and Feb. 23.